I have had the Colorado now for 5 months and have taken it out a lot. My verdict is I love it to bits. It does everything I hoped it would do. Yes, it's heavy but not a problem. I suppose I have the luxury of not remembering what the Old Towns I have always hired felt like and because I am new to this lark, I don't have a feel for the finer points of a better quality boat. 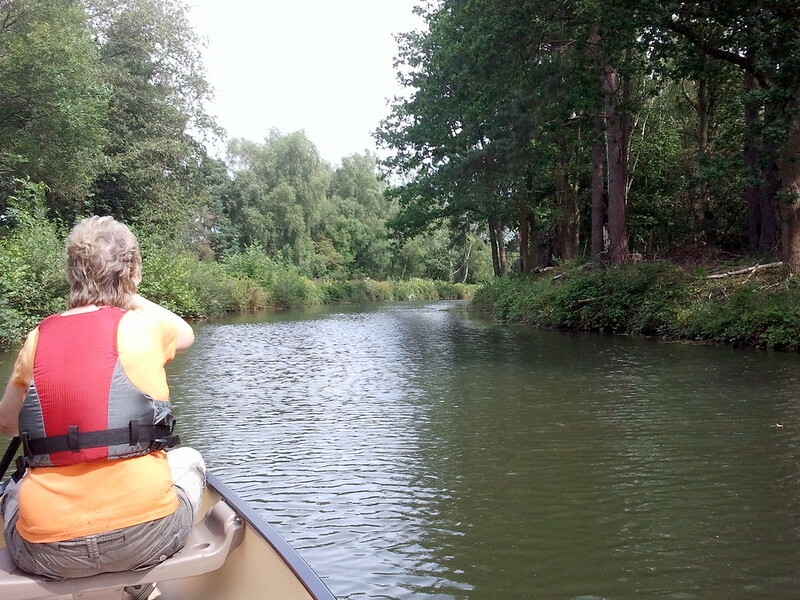 I hope that day comes and I want to have some training this year but at the moment I just love getting out on my localish rivers Medway, Cuckmere, Wey and Basingstoke Canal. I have a queue of people who want to come out for a paddle and am very happy with my choice. I can see me buying another boat in maybe a couple of years time for weight or handling or some other benefit but I can already tell that my Colorado is going to be a trusty old friend. If this picture has loaded OK, you will see what Colorado ownership is like for probably most new paddlers. Last edited by bowman; 6th-March-2007 at 09:09 AM. On of the most important entertainment in Colorado is pelican canoes. While at sea it give a great amusement. It carries 3 person on it. It on of the stable versatile. I agree with the above, it rocks has room for the kids and wife. Also its very stable- my wife always worries about the kids in the kayaks, but not the pelican. Hi. I have just bought my first canoe, having spent the last 20+ years kayaking and surfing. 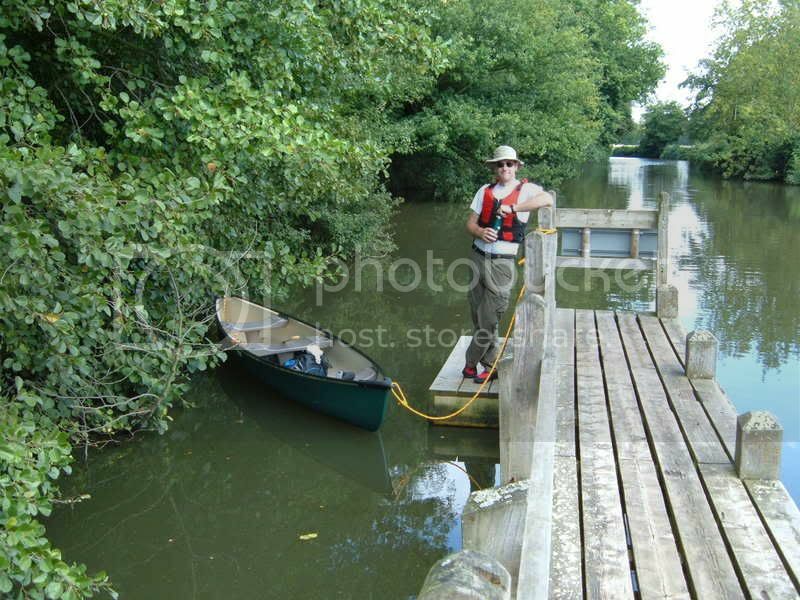 I did a fair bit of research on the net before taking the plunge and then went to our local canoe shop (Berkshire Canoes in Reading) and had a chat with the young lad there. I went having pretty much already made up my mind I was going to buy an Old Town Discovery but knew the shop also sold Pelicans which are a fair bit cheaper than the Discovery, so I was keeping an open mind. I'd read a lot of positive posts on the Pelicans so was expecting to be told they were OK boats. However what the salesperson actually said was the reason they sell Pelicans is because of the demand there is for them, however if anyone comes into the shop and wants some advice they would strongly suggest avoiding them. (I guess some might question the shop's integrity in selling them in the first place in that case but I suppose everyone's got to have at least one eye on profit in these hard times.) One of the main things he mentioned was the fact that the Pelicans have to be assembled by the retailer rather than being shipped in a finished condition by the manufacturer. I've certainly seen quite a few posts around the net about this and it does seem less than ideal - especially when the likes of Costco appear to expect the customer to finish constructing the boat themselves. Anyway... the upshot is I spent the extra few quid and bought the Discovery I'd already set my heart on really. I'm glad I did as I have a sneaking suspicion I would never have been quite as happy with a Pelican, especially once the seats started cracking and sloshing with water that couldn't be removed. One of the main things he mentioned was the fact that the Pelicans have to be assembled by the retailer rather than being shipped in a finished condition by the manufacturer. Beware of smooth tongued salesmen! I don't suppose he told you that almost all imported boats come into the country in a container with a number of hulls nested together and the seats, thwarts and decks packed separately for subsequent assembly . I have a sneaking suspicion I would never have been quite as happy with a Pelican, especially once the seats started cracking and sloshing with water that couldn't be removed. I've had a Pelican for coming up to 10 years. It lives in my garden completely unprotected. I've never had a problem with water or cracks in the seats. Such canoes are not everyone's cup of tea but there are very many of us with fond memories of the Pelican that got us started. Hi Keith, apologies if I've offended. My intention was merely to voice my own opinion and describe personal experience. With regards to your response - I feel there is a great deal of difference between a boat being assembled by someone who knows how to do it and a boat put together by the purchaser, as is the case with boats bought from Costco. Your experience is a positive one and that's great, but I've read many reviews which have described the seat issues - flimsy and liable to fill with water which cannot be removed the first time the boat upends. I am a keen photographer, and I believe a comparison can be made here with the advice given by Thom Hogan with regards to buying a tripod. He urges people to spend as much money as possible on their first one, saving them in the long run, as too often people go for the cheap option, realise they've made a mistake and end up having to upgrade, costing them far more money over all. Anyway.... once again, my intention was not to offend but to inform. Having now taken delivery of my Old Town and got out it in it I'm delighted with my purchase, it's a great boat. I have a feeling I'm going to continue to enjoy it for many years to come. PS, love the link in your signature. A great resource. Thanks. Recently bought the Pelican Colorado and had my first paddle in it the other day. Its my first Canoe as i was just looking for something basic to get on the water with and have some fun! Bought it for £260 off a guy local including 2 paddles cheap huh?! (great condition as well only been paddled in twice). 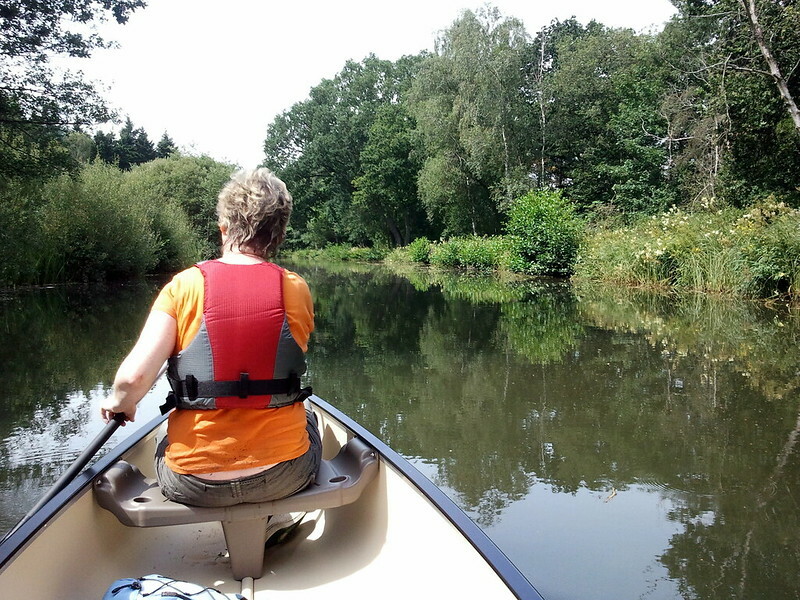 My review on my first paddle was that the middle seat should not be occupied by a heavy person 45kg+ because it imbalances the boat (in my opinion) and it was much more balanced if the third person sat on the floor. Also i thought it would be a bit big to handle solo but it worked out well. And for that price you cant go wrong in my opinion!! lovely boat. I too have just purchased my first ever canoe and it was the Colorado 15.5 As yet I have not put it on the water but will very soon wet its keel in the Basingstoke Canal (BSC). Having done a fair bit of research on the internet, joined SOTP to read reviews and take advise, I was really confused as to what canoe to buy. I wanted a boat that would be good for a novice, stable in the water, carry up to 3 people and dare I say it, cheap. Still confused, we decided to drive to a canoe outlet and see one live and get an idea of size. The staff in the shop were extremely helpful and took what I had to say on board (excuse the pun). The main paddlers would be my wife and I, taking the dog providing he takes to the canoe. I was shown three different boats of varying expense, and to the shops credit, steered me away from a more expensive boat to the Colorado. I bought a package from them which included the canoe, 2 x bouyancy aids (£45 each) two entry level paddles, 2 three metre throw lines, two tie down straps and the covers for my roof rack......... (£639 all in). I have no idea if that in itself is a good deal or not, but as the staff member explained, the Colorado is very stable, will not sink when swamped, and with RAMX hull, is very resistant to the odd amature crash. There are a few things I will want to do as time goes by such as airbags and maybe replacing the seats, but that is a long way down the line. First things first....... I want to get out paddling. Just bought one of these myself at the Southampton Boat Show, and the Basingstoke Canal is one of the places I hope to use it (h/t TheOldHobbit ). Glad to see it get favourable reviews. Haven't got my hands on it yet as it's going to be delivered in a couple of weeks time, but as soon as I do I'll post some pics. 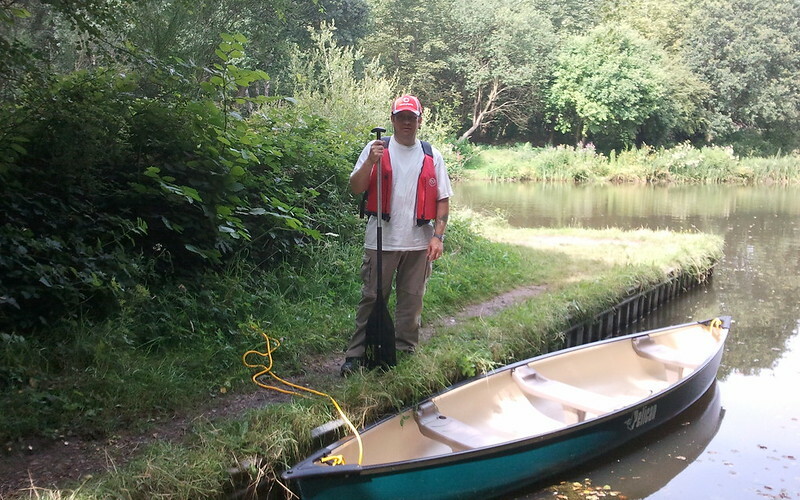 Graham, great to see another Colorado user and if I say so myself, a very pleasing canoe. 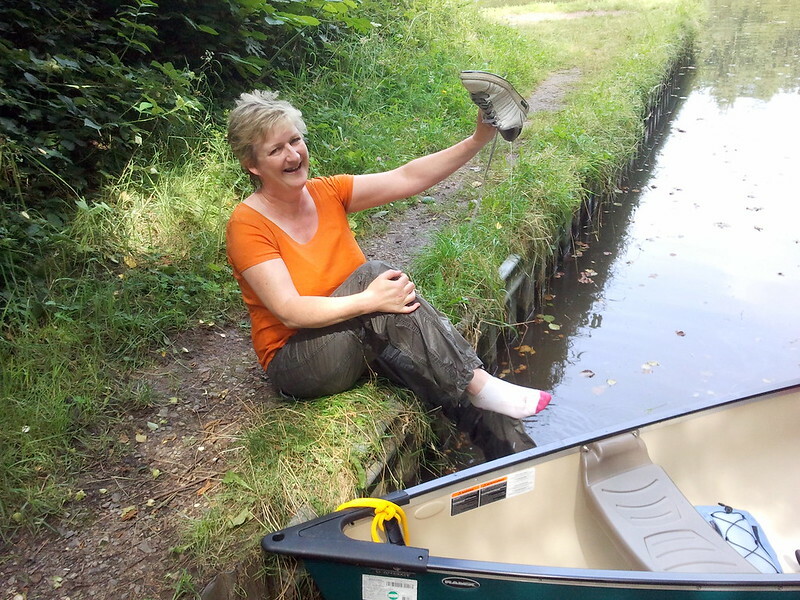 Since my last post we have managed to get out onto the BSC a couple of times and although I cannot offer opinion on other canoes, I can say we are extremely happy with it. It tracks well, paddles well, is very stable and comfortable, all we wanted for our first experiece. Good luck with your new canoe and I hope maybe to bump (not literally) into you on the BSC. I hope you have many enjoyable hours paddling her. Good choice by the way. Hopefully will be getting a second hand colorado soon asy first canoe (other than inflatable) for those who have one, how is it to portage? And to transport to the riverside to and from your car? Unfortunatly I can't afford a lighter boat. Hi Mickey, I am sure you will be very pleased with your new canoe. Although a little heavier than some, I can load it and unload onto my car solo. It can be a little bit of a struggle but once you have mastered your own method it will be fine. I have not had to portage my Colorado so perhaps another owner may be better place to offer you some advice. Good luck and happy paddling.